Tópico em 'Sismologia e Vulcanismo' iniciado por luismeteo3 4 Jan 2017 às 13:41. Another major explosion has just occurred at the volcano producing an ash plume that reached flight level 330 (33,000 ft / 11 km altitude). The Alaska Volcano Observatory reported a strong volcanic seismic signal from volcano starting at 21:18 AKST today (6:18 UTC Jan 4) and lasting ~5 minutes. In addition, a series of lightning strikes (typical for large ash plumes) were identified by the World Wide Lightning Location Network. AVO raised the Aviation Color Code for Bogoslof to RED and Volcano Alert Level to Warning. However, the eruption was only short-lived (few minutes) and there were been no immediate "follow-up" eruptions detected. The volcano's warning level was soon after decreased again. fablept, Wessel1985 e Tyna gostaram disto. A shallow magnitude 3 earthquake occurred almost directly under the summit of Teide volcano in 3 km depth today (at 12:18 UTC). Whether the quake is volcanic in origin and might be a sign of a gradual reawakening of the volcano is impossible to say, but it is important to follow the volcano's seismic activity closely. Cabo Verde já foi, quem virá a seguir? Açores ou Canárias? Wessel1985, guisilva5000 e luismeteo3 gostaram disto. vamm, lserpa, Wessel1985 e 1 outra pessoa gostaram disto. Bogoslof (United States, Aleutian Islands): (21 Jan) Yet another powerful explosion occurred at the volcano today at 13:17 AKST local time (22:17 GMT). It produced a plume that rose to 36,000 ft (12 km) altitude and drifted to the southeast over the southwest end of Unalaska Island. 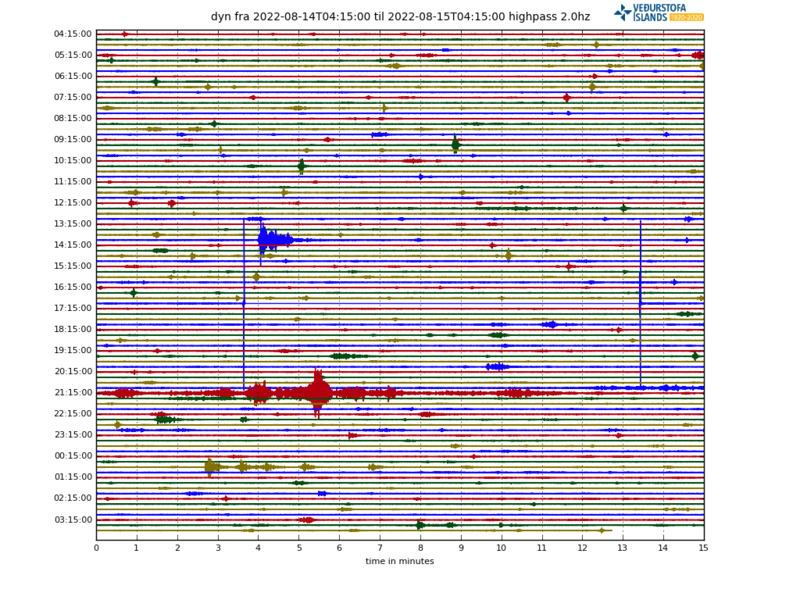 The eruption, among the strongest so far, followed an 30 minute period of increasing seismic activity. During the eruption, the Alaska Volcano Observatory (AVO) reported very hot material (likely lava) at the vent seen on satellite data, a single lightning strike and infrasound signals detected by sensors in Dillingham. The Aviation Color Code of Bogoslof volcano remains at RED and the Alert Level remains at WARNING. The Mirova website indicates a significant radiative power on January 18, with a slight persistence on the 19th at the Erta Ale . The signal is "extreme" this 21 and 22 of January ... presumably corresponding to one or more pushes of overflow of the lava lake. Erta Ale (Danakil depression, Ethiopia): The volcanic activity at the shield volcano in the Danakil desert has been at extraordinary and very elevated levels recently. Participant returning from our recent eruption special tour (14-20 Jan) reported that during their stay 16-20 Jan, the lava lake's surface level has been undergoing rapid and large variations, producing massive lava lake overflows when high and intense spattering when low. The activity generated a thermal signal that rose to 13 GW, a peak of approx. 100 times the normal average on 19 Dec and has stayed very high since! Following / accompanying this large surge in lava flow activity, several large collapses have been reported from both the also active northern crater and the lava lake itself on and since 20 Jan. It seems that the volcano is currently in a major phase reshaping itself. Wessel1985 e António josé Sales gostaram disto. Aristocrata, vamm, Wessel1985 e 1 outra pessoa gostaram disto. DaniFR e Wessel1985 gostaram disto. The area of the Etna volcano, near the Italian town of Catania (island of Sicily, south) recorded in the last hours an intense seismic activity, with 50 earthquakes, some of them of magnitude higher than 3 degrees on the Richter scale. According to data from the Institute of Geophysics and Volcanology in Italy, 50 tremors have been recorded since 6:50 am Italian time (5:50 GMT), the most intense of magnitude 3.5 at 10:51 am (9:51 GMT) . The earthquakes have been warned by the population of the area so they have evacuated by precaution the schools of the localities of Ragalna, Nicolosi and Bronte, near the volcano. Much of Sicily is classified as of great seismic danger. The island is to the south of the Italian peninsula, in the center of which there have been intense seismic movements since last August that have killed almost three hundred people and destroyed several localities. Wessel1985 e Tyna gostaram disto. lserpa e Wessel1985 gostaram disto. O observatório do vulcão Piton de la Fournaise registra desde 15h22 uma crise sísmica acompanhada de deformações ao nível da zona cimeira. É provável que uma erupção ocorra mais cedo ou mais tarde.